Situated between the Provençal Gard and the southern Ardèche, the Mas du Terme****, a charming 4-star hotel enjoying an ideal situation at the gates of the Ardèche, welcomes you to a haven of peace in the heart of its 40-hectare vineyard intermingled with lavender fields and olive groves. More precisely, the Mas du Terme**** is located at the meeting point of three regions: the Ardèche, the Cévennes and Provence. It's certainly that fusion and that exceptional setting right in nature that makes the Mas du Terme**** so unique. A rare spot to find where the living is good ! Welcome to the Mas du Terme****: stay, savour, live unforgettable moments in Languedoc Roussillon. 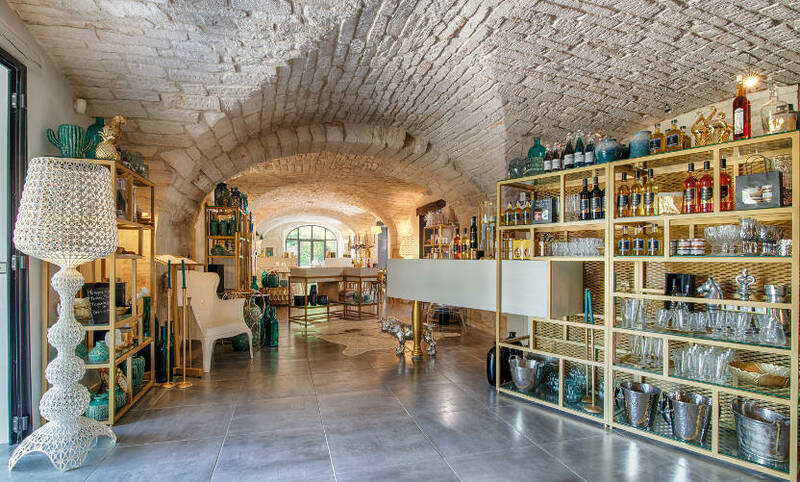 In an idyllic and restful setting in the heart of a benevolent nature, the authentic Mas du Terme**** offers three types of accommodations, all entire equipped with wifi, air-conditioning, flat screen TV, minibar, safe, telephone. A 4-star hotel with Prestige rooms associating refined decor and designer style. The contemporary part of the Mas du Terme**** is a concentration of luxury and serenity. Named after precious stones and rare pearls (sapphire, diamond, ruby, amber), each room is personalized with a specific colour code and choice materials. They all have a king-size bed, for a night of dreams in the countryside, and unobstructed views over the Cévennes and the olive groves. Some of them have a terrace with a private jacuzzi, lounge chairs and garden. The bathrooms with bathtub and Italian-style shower are an invitation to the pleasures of the senses and well-being. A 4-star hotel in the historical part of the estate with charming rooms. A charming hotel between the Gard & the Ardèche. Recently renovated, the rooms in the Mas and in the Bastide that make up the historic and authentic part of the estate combine the classicism of old stones with contemporary furnishings, in total harmony with the surrounding environment of grapevines and olive trees. Warm and sun-filled, each room is unique in its fittings, its decoration and its ambiance and has either a king-size or queen-size bed, Italian-style shower and bathtub. An “apart’hotel” for a convivial stay. Each apartment has been conceived for convivial stays with the family or friends, all while taking advantage of the hotel services to round off your vacation in a tone of serenity and independence! Le Carré des Saveurs, the restaurant at the Mas du Terme****, is a gourmet invitation to discover a fresh cuisine that uses seasonal and local produce of the land. Le Carré de Saveurs is also a garden of herbs, freshly gathered to flavour all the dishes prepared by the Chef. All the meat, of French origin, is rigorously selected. The bread is kneaded and baked on the premises. All the desserts are home-made. The vaulted stone ceiling, the veranda and the patio give character to the place and create the undeniable charm in which light, design and authenticity harmonize. Where better to fully savour the chef's cuisine and and sample the estate's wines. For you seminars, business lunches, receptions, Le Carré des Saveurs offers you many gourmet possibilities. The Mas du Terme**** has 2 communicating & equipped meeting rooms. - Video-projector, screen, paperboards, pencils, paper, mineral water on the table, photocopy and fax service at reception. - Equipment upon request: television, sound system, microphone, video camera. - Natural lighting and blackout curtains. 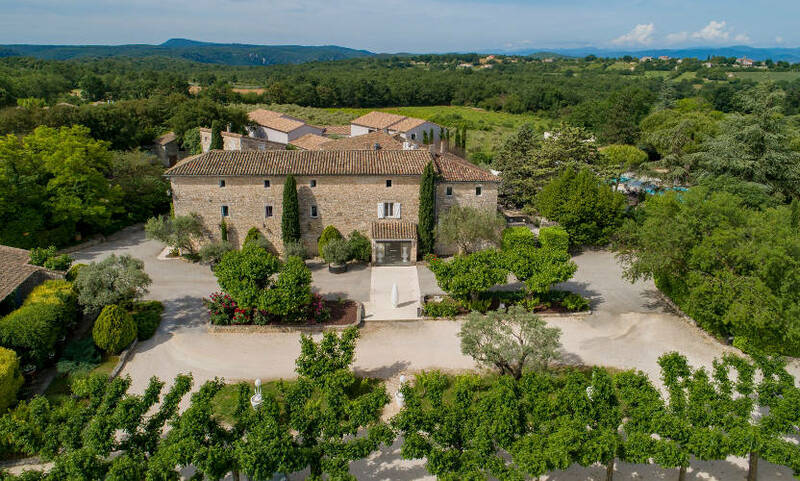 Activities on the premises: heated pool, wellness space, table tennis, foot races on the estate, pétanque tournaments, wine workshops, tasting of regional products. External activities: Canoeing, canyoning, mountain biking with vineyard tours, treetop adventure, spelunking, rock-climbing, via ferrata, multi-sport challenges in the Gorges of the Ardèche, cooking classes, quad or buggy rides, orientation courses in interesting villages, exploring caves..